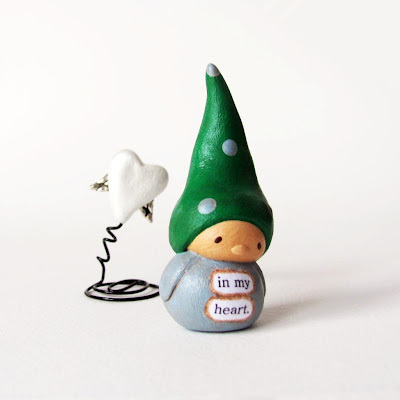 humbleBea handmade: Wee Gnome and Heart with Angel Wings. In My Heart. Wee Gnome and Heart with Angel Wings. In My Heart.